There are also shows this weekend in both Buffalo and Saratoga Springs, NY, as well as in Roanoke, Virginia and Victoria, B.C. As for shows outside of North America, in addition to the show in Moscow, there is a boat show in Zagreb, Croatia. Are any of our readers going to Moscow or Zagreb? We want to hear from you! 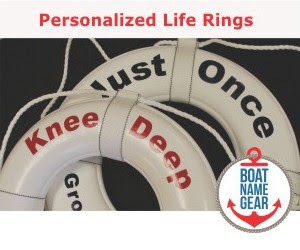 If you go the New England Boat Show in Boston, in addition to winning up to $300 in personalized gear, you can get a free FirstBoat hat or T-shirt. Just be one of the first 20 people to visit the BoatNameGear booth Monday through Thursday and mention "FirstBoat" to win. 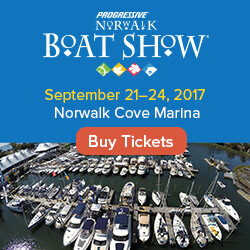 More details about all the boat shows happening this weekend and beyond can be found at our calendar of boat shows. 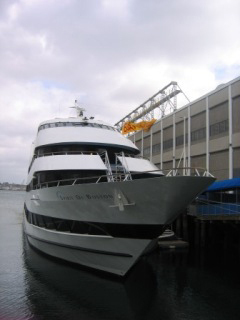 I can't wait for the show in Boston, it means that the boating season is right around the corner. The show is also featured on www.boatinglocal.com, I'd love to know what you think about it.